Here in the Pacific Northwest, chefs, bakers and restaurants share their love of Oregon hazelnuts in unique and delicious ways. We like to call them our “year-round heroes of hazelnuts.” Meet Our Newest Hazelnut Hero: Burgerville. As the seasons change, so do Burgerville’s offerings of fresh, local food items like Walla Walla Sweet Onions, Washington asparagus, Oregon berries and Oregon hazelnuts. Hazelnuts are unique in that they bloom in the middle of winter. The nuts mature during the summer months, turning from green to shades of hazel. Hazelnuts are harvested in late September or October after they have fallen to the ground. As a timely tribute, Burgerville is featuring their Chocolate Hazelnut Milkshakes and Smoothies in all of their 42 restaurants now until Monday, Feb. 27, 2017. Burgerville guests enjoy kicking off the New Year with a milkshake that exemplifies and celebrates the unique flavor of this place we call home. Burgerville’s special Chocolate Hazelnut Milkshakes serve tribute and homage to this uniquely regional produce by combining locally-grown, roasted and ground hazelnuts with rich chocolate and real ice cream or frozen yogurt. Burgerville has always used real ice cream in their milkshakes. 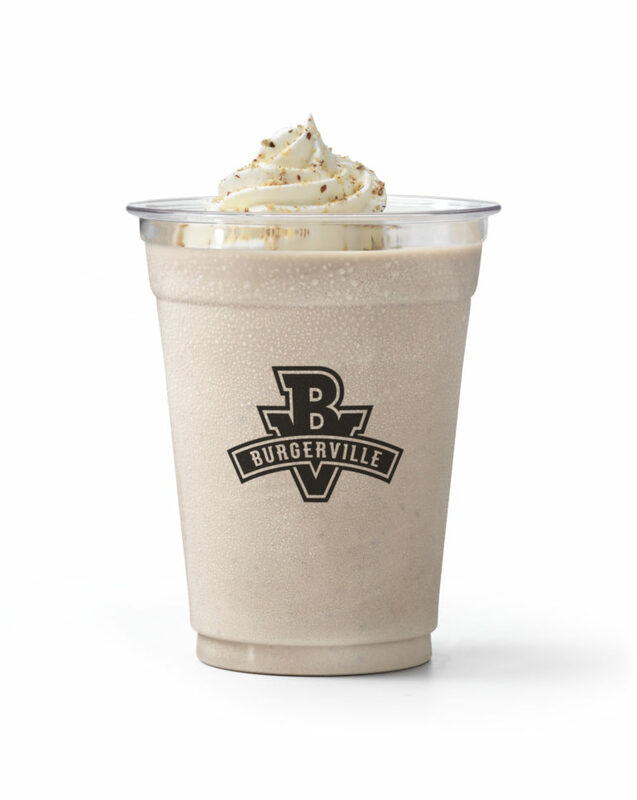 Burgerville hand crafts their milkshakes and tops them with real whip cream along with roasted hazelnuts. 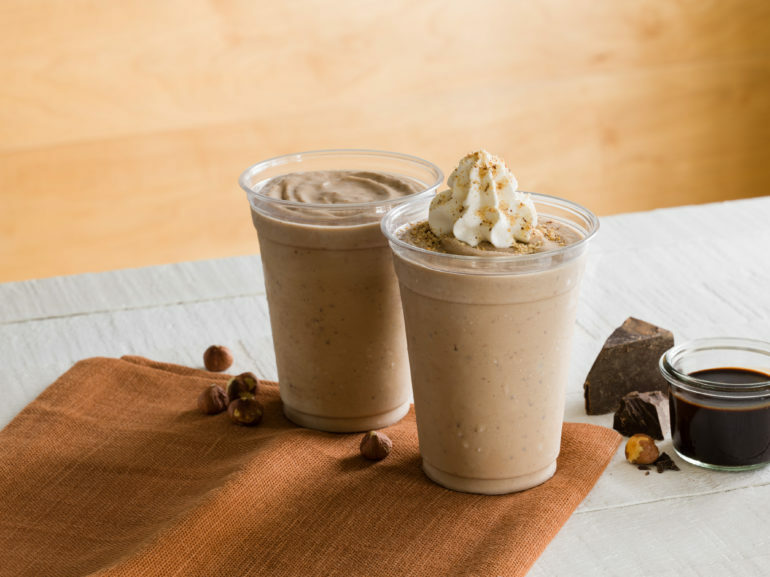 Their smoothies are made with frozen yogurt, and Burgerville’s hazelnuts come from the Hazelnut Growers of Oregon, a grower-owned cooperative that represents 150 farmers in Oregon’s Willamette Valley. Burgerville also has a close working relationship with the Aman brothers, Tim, Tom, and Kevin, who are carrying on the family tradition of growing hazelnuts on their three generation farm in the Willamette Valley. Each year, the brothers do the same tasks at harvest time, as they have done every year since starting to help out on the farm. Kevin sweeps the hazelnuts into rows, Tim vacuums up the hazelnuts, and Tom packs them into totes for processing and distribution. The brothers also grow hazelnut tree starts in a nursery on their farm, in an effort to help ensure sustained growth of hazelnut farming in the region for future generations. The brothers are proud of their heritage and producing hazelnuts in the special growing region of the Willamette Valley and Burgerville is poised to promote the fresh hazelnut bounty in their milkshakes and smoothies!